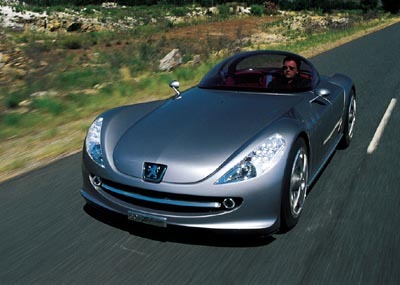 First seen at the 2000 Geneva Autoshow, the big cat inspired Peugeot 607 Feline was designed at the La Garenne Design Centre. 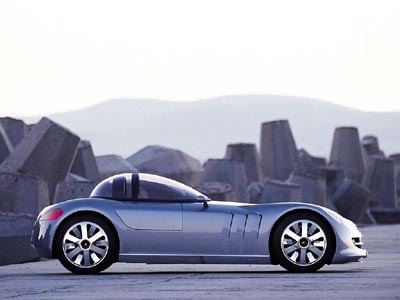 Usually concept cars are created to preview and perfect upcoming models. The 607 Feline didn't follow this trend, since it was designed after the introduction of the 607. 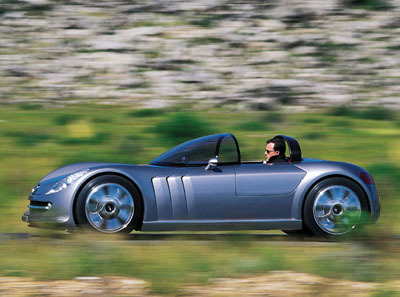 Peugeot's original brief for the 607 Feline was to concieve a luxurious, racy roadster with some design elements borrowed from the 607 sedan, such as the front end and the rear light cluster. All four wheels are pushed to the extreme corners of the Feline, possible for a one-off concept, but unfortunately unfeasible for most production cars. The front mounted V6 engine is placed longitudinally behind the gear box. An innovative package which makes the very short overhangs displayed on the 607 Feline possible.